OUR MISSION Seattle Academy of Arts and Sciences is an independent secondary school with a mission to prepare our students to participate effectively in modern society. We, therefore, seek a diversified student body and faculty. We offer a demanding college-preparatory curriculum integrating the arts and emphasizing a global perspective. We utilize the resources of our urban environment to extend our classrooms, to enhance our programs, and to engage our students in public service. Most of all, we seek to graduate motivated students of talent and integrity who are prepared to contribute productively to a changing world. are not calculated into the grade point average. Outside credits count as elective credits, with the exception being PE credits, which can count toward the PE requirement, and credits made up to replace a failed course (see below). Outside PE credits and failed classes that are made up outside of Seattle Academy are considered part of the 5 allowed credits. Making up an F for required credits/repeated courses If a student fails a required course he/she must retake the course or take an online equivalent and pass in order to fulfill the requirement to graduate. Failed courses can be made up through Yellow Wood Academy, BYU Independent Study, or another educational institution approved through the Registrar. Failed classes that are made up outside of Seattle Academy are considered part of the 5 allowed credits. Failing grades are not removed from the transcript. Both courses are included on the transcript. Credit from outside institutions are recorded as pass on the transcript. Independent Study Independent Study courses are designated primarily for juniors and seniors and are arranged between a student and an instructor in an area in which the student has a special interest. The student and instructor develop a contract of work, which includes a minimum of a once-aweek meeting and a time commitment from the student of at least 40 hours of work. Independent study courses earn a pass, not a grade and count as an elective credit. Credit Waivers for Graduation Requirements We encourage students to complete the graduation requirements at Seattle Academy. In exceptional cases, waivers for graduation requirements will be considered by the administration. Incompletes Incompletes can be issued at midterm or end-ofterm for a variety of reasons. If an incomplete is issued, faculty will provide a written statement that indicates material to be completed and a completion date. Once the work is complete, the transcript will be adjusted. Grading Policy Letter grades are based on a grading scale that includes (+) plus and minus (-) grades. A(4.0), A-(3.7), B+(3.3), B(3.0), B-(2.7), C+(2.3), C(2.0), C-(1.7), D+(1.3), D(1.0), D-(0.7), F(0). Pass grades are not figured into the grade point average. High Honor Roll is a GPA of 3.75 and above. Honor Roll is a GPA of 3.45 to 3.74. Seattle Academy calculates a weighted academic core cumulative GPA by adding .5 to the honors courses listed at right. HONORS CLASSES Honors English 11 Honors English 12 Honors History 11 (American History) Honors History 12 Calculus 1 Calculus 2 Honors Chinese 4 Honors Chinese 5 Honors French 4 Honors French 5 Honors Spanish 4 Honors Spanish 5 Advanced Chemistry Honors Biology* Physics *Students may also earn honors distinction in Biology on a term-by-term basis. Required for graduation beginning Class of 2022. Financial Literacy, Innovations and Computational Thinking required for graduation beginning Class of 2022. One additional course is required in each of these areas during either junior or senior year. These courses offered beginning Fall, 2019-20. Required for graduation beginning Class of 2021. Classes of 2020: None of the courses in the table are required for graduation, as explained on page 6. 160 Hours of Community Service Please see the explanation of Community Service on page 9. Health Requirement Two credits of Health are required within the Physical Education requirement. If a student in the class of 2020 has not already fulfilled that requirement in their 9th and 10th grade years, they should contact the Head of Upper School. Washington State History Requirement This course is completed in the 7th grade year at Seattle Academy and usually completed in the 7th or 8th grades at other institutions. Students in grades 9 to 12 who have not taken Washington State History will be scheduled to take the course their senior year in order to fulfill the requirement. Electives When students continue to take classes in an area and have fulfilled their graduation requirement, the credit is applied to the elective requirement. Elective credits are usually earned during the senior year. Because we moved to a new schedule in 2018-19 with an additional class block, Juniors and Seniors will have the opportunity to schedule one more class (or Study Hall) in that period. Freshmen and Sophomores will have new graduation requirements scheduled during some of the new blocks. = MINIMUM REQUIREMENT Most students will be encouraged to take a 4th year. CLASS OF 2021 • ADDITIONAL GRADUATION REQUIREMENTS 160 Hours of Community Service Please see the explanation of Community Service on page 9. Health Requirement Two credits of Health are required within the Physical Education requirement. Washington State History Requirement This course is completed in the 7th grade year at Seattle Academy and usually completed in the 7th or 8th grades at other institutions. Students in grades 9 to 12 who have not taken Washington State History will be scheduled to take the course their senior year in order to fulfill the requirement. Electives When students continue to take classes in an area and have fulfilled their graduation requirement the credit is applied to the elective requirement. CLASS OF 2022 AND BEYOND • ADDITIONAL GRADUATION REQUIREMENTS 160 Hours of Community Service Please see the explanation of Community Service on page 9. Health Requirement Two credits of Health are required within the Physical Education requirement. COMMUNITY SERVICE 160 hours of community service required. To help our students build an understanding and respect for what it means to fully participate in society, we ask all students to serve our local and global community in ways that are meaningful to them, turning a passion into action. Service credit can also be earned by volunteering for tasks within the Seattle Academy community. 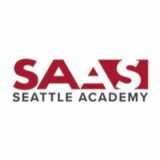 All hours must be entered and reflection questions answered completely on the Seattle Academy Community Service Online Tracking System X2Vol, to receive service credit. Service entries should be entered online within three months of the service date to be recognized and credited. To access the online system, go to: https://www.x2vol.com Students can find their student ID # number logging onto My Backpack, then by clicking onto Academic Info, then Student Schedule. The ID number will be at the top of the page. External Service Opportunities These opportunities include but are not limited to nonprofit organizations such as food banks, parks, environmental restoration and/or arts projects, hospitals, shelters and retirement homes that provide health, human and/or civic services. External hours can also be earned by participating in SAAS- sponsored trips that contain a service component. Internal Service Opportunities Students can earn up to a MAXIMUM of 40 hours serving as a Teacher Assistant (TA) for SAAS faculty, an athletic manager or arts department stage/production assistant. Although students may work more than 40 hours, ONLY up to 40 hours count toward the graduation requirement. Additional hours credited toward the graduation requirement include peer tutoring and volunteering for SAAS events like Open House and SAAS in the City. Only the literal amount of hours served will be awarded. Students can TA multiple times, but only a maximum of 40 hours will be recognized toward the graduation requirement. Arts Graduation Requirement for Class of 2020: 9 credits, must include at least one credit each of Dance, Visual, Theater Arts, and Music. Graduation Requirement for Classes of 2021 and Beyond: 7 credits, must include at least one credit each of Dance, Visual, Theater Arts, and Music. Artistic endeavors require the development and integration of the following four complex skills and processes. The first is engagement. In this phase, students become acclimated to the creative environment and begin to recognize and exercise their natural creativity. Second is the development of vocabulary and technical skills. Vocabulary both supports the student in dialogue with artists, peers, and teachers, and begins to shape a world view in which the arts is in an integrated element. The development of technical skills allows students to excel in artistic expression. Third is performance and exhibition. Students must be able not only to apply the skills that are required but also to integrate these skills into the creative process. Fourth and last is evaluation and reflection on both the product and the process. Students must have the critical skills both to assess their own individual development and provide constructive feedback to peers. Dance The following courses satisfy the dance distribution and qualify for arts credit. Extra dance credits can count towards PE credits, and once those are complete, towards elective credits. rhythm, coordination, and making clear shapes with their bodies. They will also work on dancing with a sense of dynamic range, and on making it clear to the observer where in the body a particular movement originates. The class structure includes a thorough warm-up, exercises that move across the floor, and learning a longer piece of choreography. The following courses will satisfy the music distribution and qualify for arts credit. Beginning Vocal Music One trimester. Open to grades 9-12. Students receive an introduction to solfege and rhythm skills that they will use throughout their singing career at Seattle Academy. Using a combination of written and on-line resources, they will apply these skills to three to four pieces of music. Students will study basic voice technique. Students may perform at the end-oftrimester performances. Digital Music Production One trimester. Open to grades 9-12. Students will work together to compose and record original music. Class meets in a studio setting where students have access to digital audio workstations, a mixing console, and recording equipment, to produce and record their songs. The curriculum will cover song composition, basic audio engineering, music theory, and more. Vocal Revue Spring trimester. Open to grades 9-12, by audition. Vocal Revue students will study basic voice technique. While the course is relatively casual, the performance goals for the class are high, and Vocal Revue has a one-night show. Vocal Ensemble One Trimester: Winter Open to grades 10-12, by audition. Vocal Ensemble is a one trimester class, after school, graded Pass/Fail. The Vocal Ensemble will put on a show in February. Students will study voice technique, and the performance standards are high. A placement audition is required, and auditions are held in the spring. Jazz Choir III Two trimesters: Fall and Winter. Open to grades 9-12, by audition. Jazz Choir III is a two-trimester class which performs at school and festival events. Jazz Choir III focuses on solo and group repertoire from the jazz idiom. While this is the beginning level of our Jazz Choir sequence, expectations in this group are high and require regular homework. Auditions for this group are competitive and are held in the spring. Jazz Choir II Two trimesters: Fall and Winter. Open to grades 9-12, by audition. Jazz Choir II is a two-trimester class. This group performs regularly at school and at the Bellevue Jazz Choir Festival. Jazz Choir II focuses on solo and group repertoire from the jazz idiom. Expectations in this group are high and require regular homework. Auditions for this group are competitive and are held in the spring. Jazz Choir I, “The Onions” Yearlong course. Open to grades 9-12, by audition. Jazz Choir I is a yearlong class. This group performs regularly at school and community functions, at the Reno Jazz Festival, and they have an end-of-year concert. “The Onions” represent the best in Seattle Academy vocal music, and therefore will maintain the highest of musical standards. Auditions for this group are competitive and are held in the spring. competitive festivals, and other special events. Placement in ensembles is made through an audition in the spring and is subject to the instrument needs of each group. Previous playing experience of at least one year is highly recommended, but accommodations can be made for beginners taking private lessons. explore story structure, character development, and joke writing. Students will learn to write story pitches, episode pitches, create outlines, and write dialogue. Various scripts from actual television shows will be read, watched, and analyzed. The class collaborates on writing a half-hour episode of a TV show that has been developed over many years at Seattle Academy Stage Combat Spring trimester. Open to grades 9-12 Stage combat is an artistic presentation of violence in a theatrical environment. It is violence based on the principles of reality, masked by specific techniques that make the actions safe for the performers, and perceived by an audience as reality. The choreographed piece is designed to enhance and continue the narrative of a theatrical event. The class will focus on use of physical acuity and development of sword techniques. Technical Theater and Design One trimester. This class will function as an introductory survey of stagecraft and will walk students through the major design forms of set, light, sound, and costume. Elementary drafting, model work, and a study of the historical development of the technical aspects of dramatic art are all studied. Students need to serve on the technical crew for one SAAS theater show during the course of the trimester. Placement by Audition Intermediate Acting Two trimesters class: Fall & Winter. Open to grades 10-12, by audition. Intermediate Acting focuses on developing ensemble techniques, basic scene study, and an introduction to emotional exploration for the actor. Students will work on the development of a short theatrical piece during the second trimester. Intermediate students are also eligible to audition for the Spring Main Stage production. Auditions for this class are held in the spring. Advanced Acting Yearlong course. Open to grades 10-12, by audition. Advanced Acting students will explore a deeper, more serious level of character creation. They will explore their inner landscape, personal obstacles to expression, and deep emotional character work. The class focuses on a monologue of the student’s choosing. The work will focus on the exercises of Jerzy Grotowski, Stephen Waugh, Sanford Meisner, Ethel Eyler, and Warren Robertson. Auditions for this class are held in the spring. Visual Arts The following courses will satisfy the visual arts distribution and qualify for arts credit. (Note: Beginning Studio Arts is a prerequisite for other visual arts classes, excluding film classes.) Beginning Studio Arts One trimester. Open to grades 9-12. A beginning visual arts course with the goal of creating student confidence and knowledge in a wide variety of media with the focus on fundamental skills. This course emphasizes a study of the Elements of Principles of Design. Creativity and personal voice are explored during this course and students will have the opportunity to reflect upon and discuss their work. Process Journals will be used to research, to explore techniques, and to practice. This class is a prerequisite for other visual arts classes, excluding film classes. Studio Arts One trimester. Open to grades 9-12. Prerequisite: Beginning Studio Arts. This is a one-trimester course and open to all students who have taken Beginning Studio Arts. Students will study and create artwork with the Elements of Principles of Design, enhancing their skills in life drawing, painting, and printmaking. Topics vary, and 2-dimensional, and 3-dimensional artwork will be explored. This course can be repeated multiple times. Fiber Arts One trimester, Fall or Winter. Open to grades 9-12. Prerequisite: Beginning Studio Arts. In this class we will be exploring all things fiber, with a twist! The goal is to expose you to as many different kinds of materials as possible, while at the same time pushing you to think conceptually about how you are using them. We will therefore be using traditional materials in non-traditional ways and non-traditional materials in traditional ways. Projects will include felting, weaving, shibori resist (a Japanese technique of embellishing textiles by shaping cloth and securing it before dyeing), embroidery, sewing, textile design, and dyeing. Sculpture One trimester. Open to grades 9-12. Prerequisite: Beginning Studio Arts. In this repeatable course we concentrate on the proficient and safe use of many studio/shop tools and explore the most prevalent threedimensional art-making techniques. They are: Reduction (carving,) Fabrication (assemblies), and Casting (multiples from molds and poured liquids.) Using influences mostly from post-WWII Western artists, students can execute works in wood, stone, steel, aluminum, copper, fiberglass, plaster, concrete, and potentially, some thermoplastics. A partial list of the tools used in this course includes chisels and knives, rasps, sanders, drills, grinders, and saws. SAAS are about. Beginning Film is a productionoriented class designed to introduce students to the film-making process and provide them with the knowledge and tools needed to produce a short film of their choice by the end of the trimester. Advanced Film Two trimesters: Fall & Winter. Open to grades 10-12. Prerequisite: Film and Instructor Review. Advanced Film is a production-oriented class with more emphasis on understanding the technical aspects of film: lighting, cameras and lenses, editing equipment usage, etc., all aimed at giving students maximum control and ability to express their own vision through film. The class will meet one or two trimesters. The focus of the class may change from trimester to trimester, based on student need, and taking up various topics related to the production of different film genres, including narrative, documentary, animation, new media, etc. Students will be required to produce a short film by the end of the last trimester, either in small groups or individually, and utilizing the techniques discussed in class. Other projects conducted during class time may occasionally require extra out-of-class time as well. A timetable will be set with each student or group to assure progress is being made on each film project as the trimester progresses. Film Animation Spring trimester. Open to grades 9-12. No prerequisite. Ever look at a moving image on TV or at the movies that defies reality and ask “How did they do that?” In this class we will explore some of the ways animation brings still images to life, whether they start out as hand drawn pictures, lumps of clay, Lego pieces, real live people, or even computer generated shapes and characters. We will view many animated works and discuss the techniques used to create them. Then, working together as a class, individually, and/or in small groups, we will use time-honored manual techniques and learn to use computer programs like Photoshop, Motion, After Effects, and Final Cut Pro to create our own short animated films. This class is open to all levels of filmmakers. Photography: Experimental Spring trimester. Open to grades 9-12. Prerequisite: Beginning Studio Arts. In this modern technological age, more and more artists are returning to historic, hands-on processes to discover the beauty and magic of light-based image making. The focus of this class is to explore unusual, historic, and experimental methods of creating photographic images. Through an intensive hands-on approach we will cover simple camera creation, film exposure and development, darkroom procedures, and an introduction to the history of photographic image-making. Students may explore historical image-making techniques including cyanotypes (blueprints), pin-hole camera and toy camera use, and mixed media digital/film combinations. Creativity, personal expression, and exploration are key in this class. During class there will be lectures, demonstrations, slide shows, discussions, and critiques to encourage students to explore the potential of the medium. Students will have weekly reading assignments, as well as weekly shooting and printing assignments. Advanced Photography Two trimesters: Fall & Winter. Open to grades 10-12. Prerequisite: Previous photography class and instructor review. In Advanced Photography, students will continue work to develop and refine their own photographic portfolio, explore fine art printing and presentation techniques, and prepare work for a professional group show. The class is designed to further students’ understanding of visual language and to explore visual and conceptual concerns in contemporary photography as they relate to their own work. Students will learn studio lighting techniques for portrait and still life photography as well as on-location shooting. Advanced readings, demos, field trips, studio tours, and critiques will occur. Students may work with Film or Digital photography depending on which media is appropriate for their work. We have school cameras, lighting, and advanced studio equipment to use during class and available for checkout. trimester course will explore the technologies behind the hype to develop an understanding of how they work, where they are headed, the ethical issues raised by them, and how to navigate a changing world. Students will complete demonstration programming projects, read primary literature, and engage in discussion. Prior programming experience is not required. Computational Thinking: Dealing with Data One trimester. Open to grades 11 and 12. Dealing with data is one of the most important aspects of making progress in any field– from science to business to journalism. Understanding the world requires understanding and manipulating data. Students in this class will learn a popular open-source programming and data analysis software system that will enable them to explore, make inferences, and visualize data sets in informative ways. Skills learned in this class will be widely applicable to many fields of study and future careers. Prior programming experience is not required. Software Development One trimester. Open to grades 11 & 12. Software Development is a course where students work on the cutting edge of new technology. Students will develop interactive software and web applications using Java Script, Python, XHTML, CSS, SQL databases. Because of the laptop program, our focus will be on the design of software that is actually used by the school community and other educational environments rather than just dealing with the theory of software design. Programming experience is not required, but a demonstrated commitment to maintaining one’s computer in working order is essential. Software Development can be counted towards the math/ science requirement. As topics vary, students may take Intermediate and Advanced Software Development in subsequent years and continue their progress in the field. This course is offered to students as an honors option on a trimester basis. complement the study of Ancient History in 9th grade. Students study the different genres of literature: epic poems, short story, drama, novel, and poetry. Expository writing is emphasized, as are grammatical concepts, vocabulary development, and research skills. 10th Grade English: Modern Literature Yearlong. This course features literature and ideas from the early Modern era to the present day, and builds upon studies completed in 9th grade. Students in English 10 practice applying thematic frameworks to texts, events, or trends to develop their skills in critical thinking and analytical writing. Two core projects link English and History classes during the winter and spring trimesters (Salon Project and Outliers Research Paper). Overall emphasis is placed on vocabulary study, grammar practice, paragraph modeling, and research writing. 11th Grade English: American Literature Yearlong. Several tracks are available, including American Studies, an honors level course that integrates History and English and includes major projects and performances; Honors English, an accelerated more survey-style course; or the regular English course. All courses are designed to examine themes and patterns of American literature and history, such as found in works by writers like Faulkner, Wright, Morrison, and Emerson, and emphasize expository and personal writing, and development of grammar skills. 12th Grade English: Elective Seminars One trimester each. An elective-based program which features college-style seminar classes at both regular and honors levels and a broad range of literary experiences. Past and current courses have included Creative Writing, Graphic Stories, The Philosophy of Love, and Magical Realism. College-level writing standards are emphasized. A list of electives with course descriptions will be available late spring. Creative Writing One trimester. Earn elective credit not English credit. This class provides a forum for students to find and develop their written voice through the study and composition of different genres, from creative non-fiction to poetry. We will experiment and play with the writing process and compose a variety of different pieces, many of which, we will workshop and revise into polished products for a portfolio. Health Health Requirement class of 2020: 2 credits of Health are required within the Physical Education requirement. If a student in the class of 2020 has not already fulfilled that requirement in their 9th and 10th grade years, they should contact the Head of Upper School. Health Requirement class of 2021: 1 credit (one trimester during junior or senior year). Graduation Requirement starting with class of 2022: 2 credits (one trimester during 9th grade year; one trimester during junior or senior year). 9th Grade Health One trimester. Required. The Health 9 course is a trimester course that informs and promotes an understanding of emotional, social and physical health issues. We do so by using information and approaches from the social and biological sciences, critical analysis about the media, and guided opportunities for self-awareness and self-reflection. We want students to understand their own decision making process and the impact of those decisions on their individual health, and to explore the many ways they can make decisions that positively impact themselves and their communities. Introduction to Anatomy and Physiology One trimester. See description in Science Electives section. Introduction to Neuroscience One trimester. See description in Science Electives section. Yoga One trimester. See description in Physical Education section. History Graduation Requirement class of 2020: 11 credits (3 years and two trimesters). Graduation Requirement starting with class of 2021: 9 credits and 1 additional year strongly recommended. A fundamental belief of the History Department is that individual values are created by and exist in a historical context. To understand both the past and present, one needs to understand the context that shaped and continues to influence individual, national, and cultural values. The department emphasizes the development of specific thinking, writing, and speaking skills that help to prepare students for college and for life. These skills include the ability to research, to analyze, and to develop, articulate, and defend a thesis. All of these skills are demonstrated through a variety of assignments and projects, and they are especially showcased when students participate in the school’s culture of performance in presentations made in classes. Such skills and activities help students to expand their understanding of major historical causes and effects, and they enable students to become thoughtful, active members in their own society. 9th graders take Foundations of Civilizations, 10th graders take Modern World History, and 11th graders take American History, which meets Washington State requirements for American History. Students are required to meet the state requirement for Pacific Northwest History in middle school or by taking a senior elective. In the 11th grade, students can choose to take standard level classes, either a single honorslevel English or History class, or an honorslevel, integrated American Studies course (see detail below on how to apply for honors level courses). Whether students choose honors-level courses or not, they study American history to accompany their study of American literature. 10th Grade History: Modern World History Yearlong. This course emphasizes the development of western civilization from the 17th century to present, but occasionally focuses on nonwestern perspectives that shape, or were shaped by, western cultures. The growth of modern political, economic, and social structures in the 18th and 19th centuries is examined, covering such topics as the Scientific Revolution, the Enlightenment, and the French Revolution, and the Industrial Revolution. Included in the course are the collapse of old regimes and WWI, global politics, and the rise of authoritarianism in the first half of the 20th century, WWII, and contemporary issues in politics, economics, and society from the Cold War to present. 11th Grade History: American History Yearlong. A study of the United States of America, the nation, its people, and its history. Students may choose to take the regular American History course, which is thematic in approach. Students may also choose to apply for the Honors American History course, which is an accelerated survey-style course, or they may apply for American Studies, which is an honors level course that integrates History and English and includes major projects and performances. 12th Grade History: Elective Seminars One trimester each. An elective-based program that features college-style seminar classes at both regular and honors levels and a broad range of historical experiences. Past and current courses have included Microeconomics, American Government, and History of the Scientific Revolution. College-level writing standards are emphasized. A list of electives with course descriptions will be available late spring. automated and technologized workforce, evolving societies with changing assumptions about gender, equality, and standard political systems, as well as a cascade of new inventions and issues both wonderful and terrible. This course will train students to shape, transform, and steer the future. Focus will not be on recalling information but gathering it quickly to make useful, creative, and engaging ideas and solutions. Students taking this course must be ready and willing to handle uncertainty, design their own path and instructions, collaborate with diverse group members to solve difficult problems, and as Lewis Carroll noted, to “believe as many as six impossible things before breakfast.” Sustainability One trimester. Open to grades 11 & 12. Personal, local, and national sustainability are wicked problems with cultural, social, economic, and technical facets where, “each attempt to create a solution changes the understanding of the problem.” Wicked problems “cannot be solved in a traditional linear fashion, because the problem definition evolves as new possible solutions are considered and/or implemented.” As a class, students will explore the application of systems, chaos, and complexity theories to a range of wicked problems. As small groups, students will identify and address a problem of their choosing. They will document their work using models and intellectual journals. Mathematics Graduation Requirement: 9 credits (3 years) required. 3 credits (one additional year) of math or science required. One additional year of math and science strongly encouraged. The Mathematics Department strives to ensure that all students are well prepared for college and life by providing the knowledge and skills to understand and function well in our world from a quantitative perspective. Specific skills include problem-solving processes, synthesizing concepts, understanding the relation of math concepts in other disciplines, and communicating solutions using the language of mathematics. Integrated Algebra 10 Yearlong. Integrated Algebra 10 is designed for students who need additional foundational work with number sense, application problems, and core Algebra 1 skills. Students will develop the second half of a core Algebra 1 curriculum, including but not limited to the study of linear functions, quadratic functions, graph transformations: linear, absolute value, quadratic, and cubic functions. In addition, students will continue a study of essential Geometry concepts, including but not limited to triangle congruence. Students who are successful in Integrated Algebra 10 would typically then move on to Advanced Algebra, then Pre-Calculus or Math Electives. Geometry Yearlong. Geometry is a course in which students develop their algebraic, logical, and verbal reasoning. Topics included but not limited to: Fall Trimester: 3-dimensional representations; points, lines, planes, rays, segments, and angles; formal algebraic reasoning; transversals and proofs of angle relationships. Winter Trimester: The coordinate plane; angle-sum theorems; and congruent triangles; special segments in triangles; the Pythagorean Theorem; similar triangles; special right triangles; and sine, cosine, and tangent. Spring Trimester: vectors and quadrilaterals, transformations, quadratic equations and in the context of problems of area, polyhedra surface area and volume, and end by studying circles and applying what we learned to spheres. Advanced Algebra Yearlong. Course work includes review of basic algebraic concepts; solving equations; direct and inverse variations and their graphs; mathematical modeling; linear relations; systems of equations; parabolas and quadratic equations; complex numbers; functions; powers, roots, exponents, and logarithms; trigonometry, and series, combinations, and statistics. of taking this exam in the Spring or a comparable mock exam. Statistics topics are covered from a calculus perspective. Together with skills learned in first-year calculus and previous math classes, students should enter college with a good grasp of many of the models, theories, and mathematical concepts connected with the study of the sciences, economics, engineering, mathematics, and other fields. Math Electives Statistics Yearlong. Open to grade 12. This full year course will cover all topics of a typical semester long college statistics course as well as applied topics in mathematics in such as business and economics, data analysis, the biological sciences, core computer math, recreational math, and other applied topics of interest to the class. The course is designed for a diverse range students with math background from Advanced Algebra/Algebra 2 up to and including Calculus I/II. Yoga One trimester. Open to grades 9-12. (May be used to fulfill a Health requirement) The goal of this yoga course is to stretch both mind and body, learning that yoga can be a tool for stress reduction, mindfulness, and strength. Viniyoga, the primary style of yoga taught in this class, has three main foci: breath, adaptability, and body. Viniyoga is adaptable to any body, regardless of where you are in terms of flexibility. Learning about body awareness, with specific attention to having a engaged core and neutral spine before and after any twisting, lateral bending, or back bends, ensures a balanced body and decreases injury risk. We will also learn and practice some basic techniques of meditation. Additional cardiovascular exercise may include fitness machines, jump rope, stairs, and games that will increase your heart rate. course gives students the opportunity to explore the function of lawyers in society through the dramatization of a trial. At the end of the trimester, the mock trial team will compete against other teams in the Seattle area. Students in the class must be present at this competition. of the natural world through the application of logic, experiment, and mathematics. The focus of the class is on experiential learning, using curiosity to drive explorations of the physical world. The course covers the essentials of classical mechanics at the college level–motion, momentum, forces, energy, work, power, circular motion, rotation, oscillation, waves, optics, gravitation, and special relativity. In every area we will develop physical intuition and reasoning about phenomena, learn new mathematical tools to describe those phenomena, and experimental techniques for probing the boundaries of our understanding. In addition, the class includes a computational component in which students learn to write simulations and analyses of physical phenomena using Python. Two sections are offered; Physics C is calculus-based and Physics A is algebra-based. labs that will not only complement the concepts discussed in class but will also expose them to the methodological process of scientific research. GIS (Geographic Information Systems) & Urban Ecology Winter trimester. Priority to grade 12. Spatial technology and geographic information systems (GIS) play an important role in today’s society. From Google Maps to specialized industrial applications, the ability to visualize, interpret, and analyze data allows us to make more informed decisions. This course will introduce students to GIS, global positioning systems (GPS), and remote sensing technologies. We will investigate both how these systems work and their applications in fields ranging from conservation and environmental science to urban and evacuation planning. Additionally, students will use QGIS to investigate and answer questions related to urban ecology in the Pacific Northwest. Persistence, a love of problem solving, and a willingness to engage with technology are the only prerequisites for this class. How Cells Talk to Each Other: Endocrine and nervous systems Spring trimester. Priority to grade 12. This class explores two of the main systems our bodies use to send messages between cells: the nervous system and the endocrine system. In the first half of the term we will learn about neuron and brain function, and explore how this is modulated by medications and experience. The second half will focus on how hormones affect animal development, feelings and behavior. Throughout the course discussions of bioethics and social justice will help us apply science to the real world. Freshmen may enroll once getting permission from the instructor. Infectious Diseases Spring trimester. Open to grade 12. This is a one-term science elective, in which we will study the human immune system, the nature of infectious diseases, and the history of human attempts to combat disease. Why do diseases like Ebola seem to “come out of nowhere?” Why don’t we have epidemics of bubonic plague anymore? of the El Niño phenomenon, problems facing Florida’s Indian River lagoon, and the complex challenges associated with studying deep sea hydrothermal vent communities. Meteorology Winter or Spring trimester. Priority to grade 12. This trimester-long elective is an overview of meteorology, the interdisciplinary study of the atmosphere and weather. The course will cover weather forecasting, cyclogenesis (the birth and life of storms), extreme weather (e.g. hurricanes and tornadoes), cloud formation, and satellite mapping. Classes will be interactive with a combination of lecture, discussion, and project based work. Students will also take part in weather monitoring activities. enroll in a level that is the best fit for their particular experience and interests related to studying the target language. Course offerings for French, Mandarin and Spanish classes include levels 1-6 in each language. Students generally progress through the program sequentially, for example from Mandarin 2 to Mandarin 3. Mandarin 4 and 5 are honors classes. In French and Spanish, there are both Honors and non-Honors 4th year classes to choose from, and all 5th year classes are Honors classes. Students are assessed for placement upon entering the modern language program and are re-assessed throughout the year, to determine placements for the subsequent year. Some students choose to learn a second World Language after–or while–completing their World Language requirement. Students earn elective credits for classes taken in excess of the World Language requirement. (Please see Appendix B and C for a visual representation of course sequencing in Spanish and French.) 9th-12th Grade: French/Spanish 3 trimesters each level. Grades 9-12. Students are placed at the appropriate level based on their competency, experience with the language, and language learning goals. The first three levels are devoted to building vocabulary and a grammatical framework so that students can express themselves and comprehend language used in commonplace situations. Class work emphasizes speaking and listening skills, while homework is focused on reading and writing. At all levels, we stress the mastery of grammar rules, the acquisition of reading fluency, and the ability to write correct Spanish or French prose. Fourth, fifth, and sixth year honors students are working towards fluency. At these levels, students review complex grammar structures and are introduced to classical and contemporary literature, music, articles and film. While grammar and vocabulary are taught in fifth and sixth year classes, the primary focus is on literary analysis and discussion. culture and customs through numerous activities and projects. We focus on pronunciation, phonics and tonal inflection, gradually learn vocabulary and sentence structures written in Pinyin, and introduce Mandarin characters. Students also learn proper Chinese calligraphy techniques and strokes. Below is a visual representation of course sequences for math. SAAS World Language Requirement: 3 years of High School World Language; at least 2 in the same language. SHADED RED LINE represents the point at which the SAAS graduation requirement has been met. The chart shows general patterns for grade levels. Actual individual schedules can and do vary. Students who enter with academic fluency in a language typically begin a new language. Students are assessed and placed in the appropriate level upon entry and by the end of each academic year. Placement is based on proficiency level, rather than grade level. A course may be repeated; teachers recommend the course level for the following year. Arts Information, Audition Dates, and Portfolio Reviews for 2019-2020 Auditions for 2019-2020 take place in the Spring of 2019. See below. Audition Dates & Information Thursday, April 18 at 3:15 pm Arts Center Black Box Theater Open to students in grades 10 through 12 next year. Students will need to present a 1-2 minute memorized monologue. Wednesday, May 8 at 3:30 pm Dance Studio The audition is open to all students and will consist of a short dance class, learning a piece of choreography, and a meeting to talk about the year. Details If you have questions, or a conflict with the date, contact Michael Cimino at mcimino@seattleacademy.org. Note: Incoming 9th graders will have the opportunity to audition for the after school productions and can register for other acting electives. After-school Musical (fall tri) and Drama productions hold auditions at the start of the term they are scheduled in. Contact Alicia Mullikin at amullikin@seattleacademy.org if you have questions or a conflict with the date. For audition materials and/or if you have questions or a conflict with the date please contact Matt Frost at mfrost@seattleacademy.org. Wednesday, April 17 at 3:30 pm Arts Center, room AC214 Open to all students. If you have questions about the program, or a conflict with the audition date, contact Mark Hoover at mhoover@seattleacademy.org. Open to sophomores, juniors, and seniors. Contact Cheryll Hidalgo for a review of previous work by May 7. Contact Cheryll at chidalgo@seattleacademy.org. Open to juniors and seniors. Students need to present their portfolio to Rebekah Rocha by May 7. Contact Rebekah at rrocha@seattleacademy.org. Open to seniors. Students need to present their portfolio to Studio Arts Faculty by May 7. Please make arrangements with Annalise Olson, aolson@seattleacademy.org or Libby Kady at lkady@seattleacademy.org.